In the last few weeks, I’ve come across this idea in several different forms and thought it was worth capturing and sharing. Along the X axis, is your ability or skill level. Along the Y axis, is the degree of challenge or difficulty of the task you are trying to accomplish. 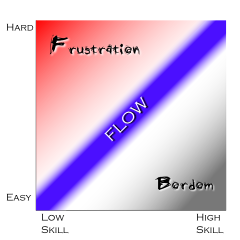 When we don’t have the skills and the task is too hard, we become frustrated. 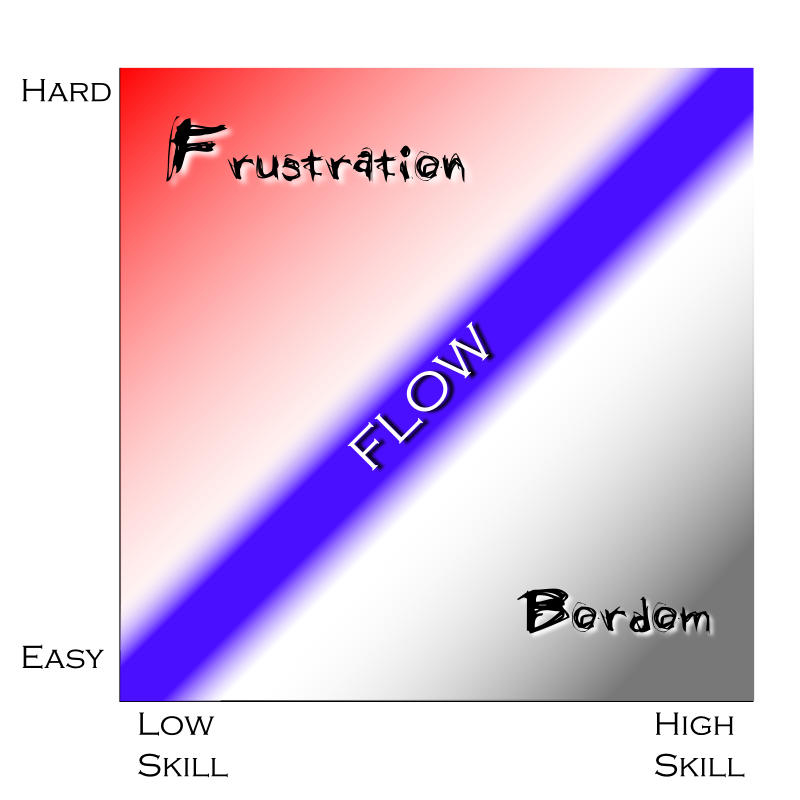 When the task is too easy and we have more skills than we are using, we become bored. Where the two are in alignment, we experience flow. This is where we pay rapt attention to the things around us because our skills are matched by the challenges that the task provides. Classically, this shows up in video games where the beginning is simple and matches the skills that you have gained up to that point, but as you continue things get harder. The application of this goes far beyond video games however, and is useful in considering the tasks and challenges that we undertake in life. We are most engrossed when our jobs or hobbies match up well with the skills that we have and the challenges they provide. It also means that to stay engrossed, we need to continue to seek out greater challenges as we improve our skills.